Cantor Fitzgerald analyst Brian White is touring China and reports to investors that demand for the iPhone 5s in the Asian country is disappointing, while interest in Chinese brands like Xiaomi is on the rise. This cool sentiment towards the iPhone may change when an iPhone 6 model with a larger screen arrives later this year. Interest in a large-screened iPhone model among Chinese consumers is reportedly very high, possibly making the next iPhone launch a "special" one for Apple. 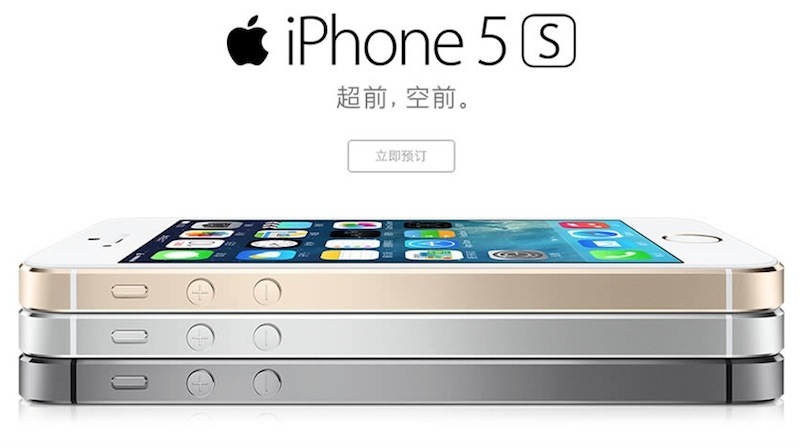 In the near term, we sensed disappointment around demand for the iPhone 5S. That said, we heard great enthusiasm around the potential for Apple to introduce a larger iPhone form factor in China this year with the iPhone 6. In our view, the iPhone 6 with a larger screen (e.g., 4.7-inch, 5.5-inch) has the potential to meaningfully accelerate Apple's growth trajectory in China during 2H:14. We have not heard this type of excitement in China around the iPhone in at least two years and thus we believe this could be a very special iPhone launch for Apple. China has been a focus of Apple in recent years, with the company opening new retail stores and bringing both the iPhone and the iPad to wireless carriers in the Asian country. This year alone Apple has introduced a TD-LTE version of the iPad and launched both the iPhone 5s and 5c with China Mobile, the world's largest mobile carrier with approximately 772 million subscribers. Apple's next iPhone model is expected to arrive in two display sizes, with one near 4.7 inches and the other at approximately 5.5 inches. The 4.7-inch model may debut this fall, while the 5.5-inch is rumored to land sometime in 2015.